Represented most vividly by Amazon, internet marketplaces are becoming increasingly popular throughout the world. One of them is Etsy - e-Commerce website that mostly distributes unique factory-made goods, vintage and handmade items. Today, we’ll try to ensure a profound Etsy review this marketplace unbiasedly, analyzing Etsy’s own features descriptions and the feedback from its users. Hip, indie-loving e-sellers are nuts on Etsy. If you wish to distribute arty craftworks, pictures, experimental music, etc. - this marketplace is what you need. At least, that’s what thousands of happy e-merchants say. Founded in 2005, Etsy now counts over 1.5 million of active sellers, 21.7 million of buyers and 32 million of unique products. Being American-based it’s also got offices in Berlin, Dublin, Toronto, Paris, Melbourne, and London. Through this marketplace, the cool kids from around the world can finally unite. Setting up an Etsy store is very easy,the whole procedure takes a few minutes. Right off the bat, you’ll get basic yet comprehensive store features that’ll permit you to sell goods without delays or disruptions. Etsy provides site analytics through synchronization with Google Analytics. Merchants can track their activities and make improvements as they go. You won’t ever feel unprepared and unqualified to sell on Etsy even if you’re new to online business, Each member of this marketplace can enjoy helpful tips concerning marketing and store organization published on Etsy’s blog and community forum on regular bases. One more benefit among Etsy reviews is great marketing-wise. It supports discount coupons and allows to include store’s “mini feature” to your blog or other kind of website. There is a Facebook app that adds a special tab to your FB page that’llupdate every time a new product is added to your Etsy store. 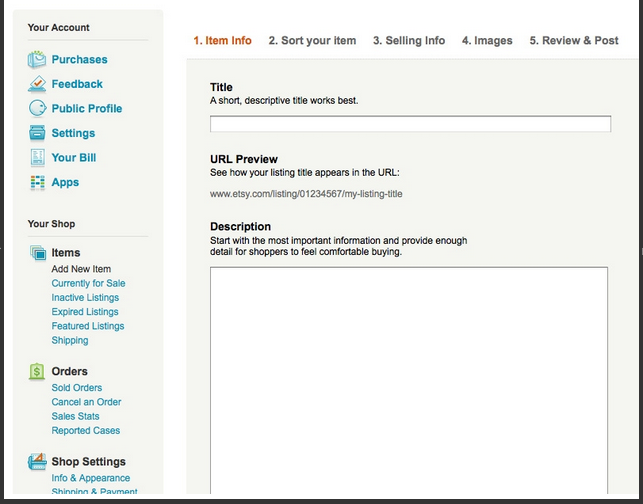 Regarding customization, Etsy permits to personalize your store via a custom header and shop’s introduction page. The rest of your retailer will be of a typical design type. The marketplace charges you $0.20 for each product you list, and takes 3.5% commision of every buy + additional payment processing fees. Be wary and calculate your prices properly, to make your business profitable. The vast popularity of Etsy has its downside - the competition for sellers and an overwhelming quantity of products to wade through for shoppers. Due to such circumstances, many newbie merchants offer their goods for extremely low prices, just to get noticed. This approach makes it almost impossible to make considerable profits. 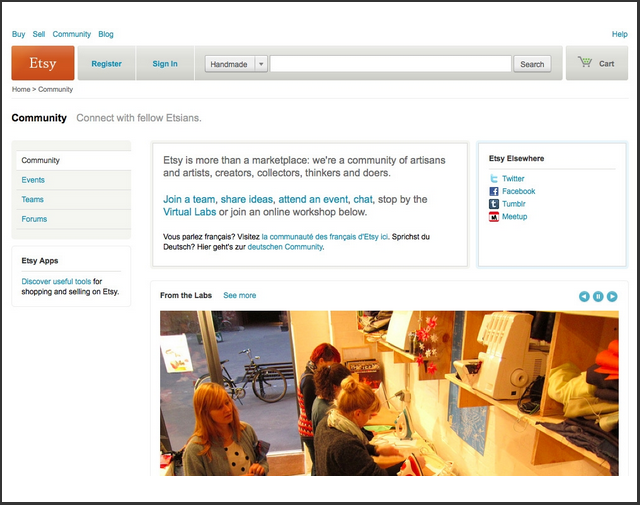 Some users claim that people at Etsy are not that susceptible to critics. Some merchants complain that they ignore and delete all displeasing comments from the community forum without addressing the issues. Next phase in Etsy reviews - the assortiment policies - evidently, they’re overly strict and sometimes inconsistent. If you upload products today, there’s no guarantee they aren’t banned and deleted some time after. If an Etsy merchant gets a customer complaint - it can freeze his payment account, and the violation of copyright rules can lead to a complete store shutdown. Such rough control isn’t a bad Etsy quality per se, especially from a shopper’s point of view, but it does create some pressure and anxiety. 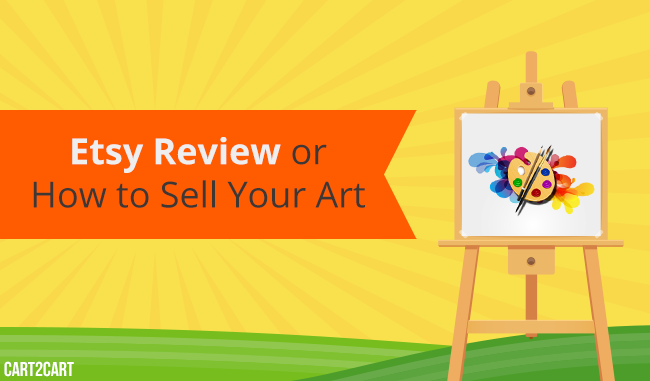 Judging from Etsy review we can say that it has advantages and flaws, just as all of us. If you’re starting your e-Commerce path, trying to acquaint people with your handmade items - it might be the best choice. If you want to expand business opportunities, equip your store with full e-Commerce functionality, it’s best to switch to a full-featured e-Commerce platform. Luckily such task is easily resolvable - just register a Cart2Cart account and migrate to one 60+ advanced platforms.